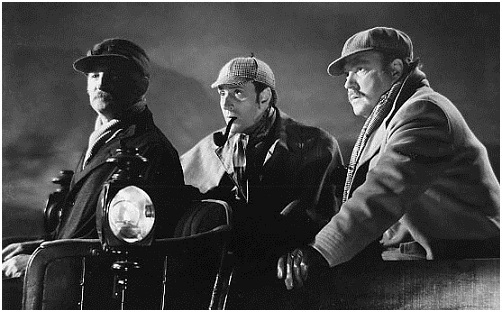 Sherlock Holmes is everywhere in 2012: a BBC series, a CBS series and, with Robert Downey, Jr. as the celebrated sleuth, once again on the silver screen. 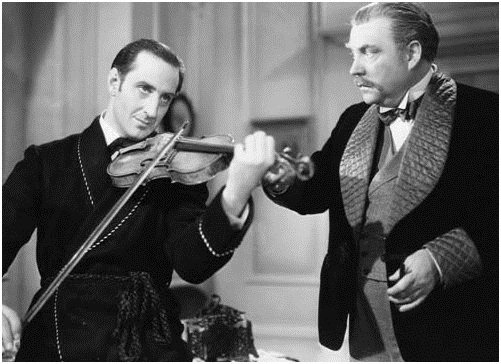 And wherever Holmes goes, so goes Watson (although in the CBS version, Watson goes there in high heels). 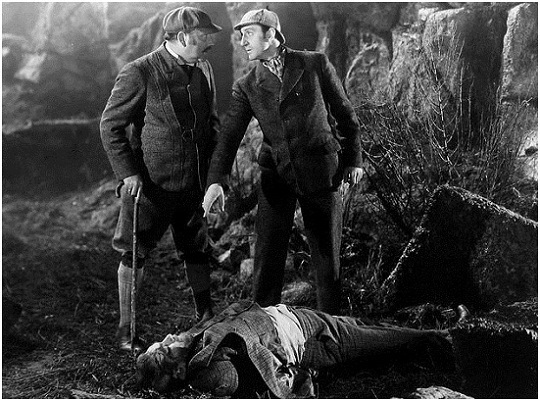 Arthur Conan Doyle purists tend to get huffy about Nigel Bruce’s rendition of Watson, which is often as a blithering, dithering oaf, but after re-watching 1939’s The Hound of the Baskervilles, I have to disagree with them. 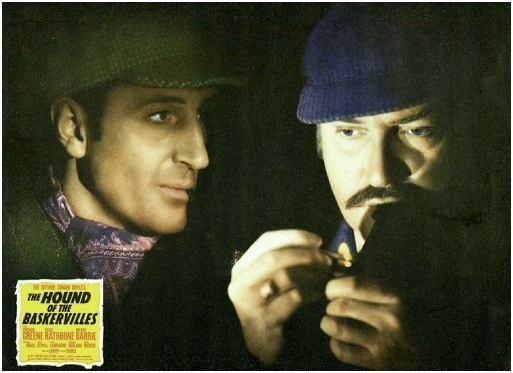 True, Bruce’s interpretation of the good doctor is not faithful to Doyle’s creation, but there’s good reason that his teaming with Rathbone was movie magic. 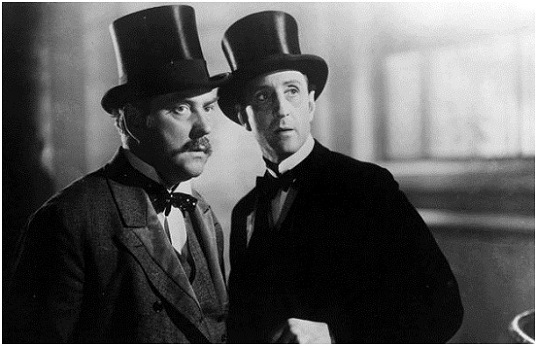 Holmes, brilliant and intense though he is, is also a pompous know-it-all; with comic foil Watson at his side, Holmes’s genius is a lot easier to take. And in Hollywood, no one did genial companions better than Bruce. 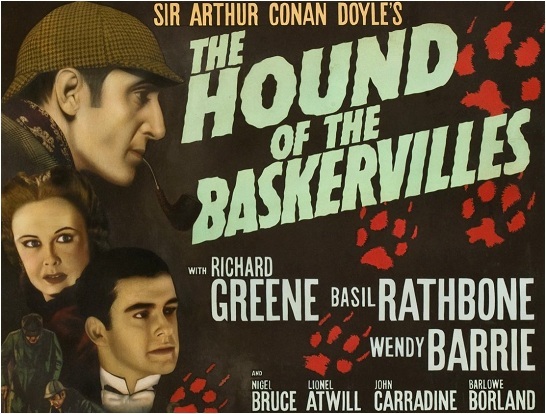 This Hound also strays from Doyle in some of its plot elements, and there’s no escaping the fact that it’s a stretch to describe it (or any 73-year-old thriller) as “scary,” but the 20th Century Fox production is still a treat. The sets, constructed in a gigantic Fox sound studio, are beyond cool. Surreal, murky, rocky and in black-and-white, the outdoor scenes do look artificial — but in a gothic fantasyland manner, teeming with ominous shadows and phantom-like mists.